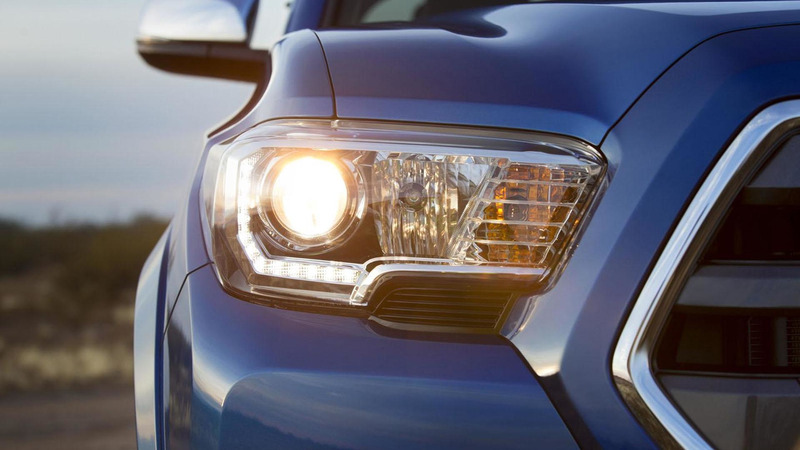 This mysterious Tacoma will debut at the Chicago Auto Show in early February. 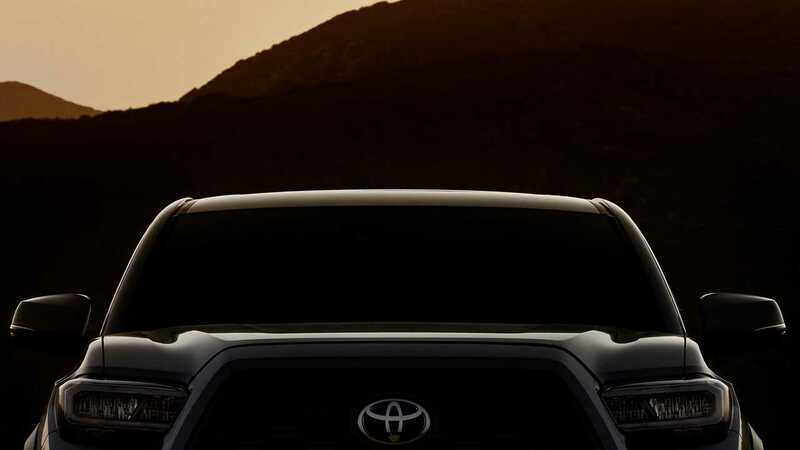 Toyota is teasing something special for the 2020 Tacoma debuting at the Chicago Auto Show on February 7. Unfortunately, the automaker won't yet tell us much about what will make the truck there so distinctive. The exterior teaser only shows the top half of the 2020 Tacoma. The image is dark, but this truck (left above) appears to have a new set of headlights in comparison to the current one (right above). It looks like the running lights might now have a bracket shape following the exterior edge of the lamps. They also appear to have a smoother, simpler shape. The clip above reveals that the 2020 Toyota Tacoma is available with a power front seat, which is a feature that isn't currently available. The guy in the video climbs into the truck and shows off the four-way adjustment. Presumably, the front passenger would be able to get this chair, too. The teaser doesn't provide a great look at the cabin, but the rest of the cabin looks very similar to the current Tacoma. Since they aren't visible, tweaks to the instrument panel and infotainment screen are possible. Powertrain changes are a complete mystery, and these teasers don't provide any hints. In fact, it's not entirely clear from the current info whether the truck debuting in Chicago is a refresh for the Tacoma or a special edition model. The revised headlights hint this is possibly a mid-cycle update, though. If you'd prefer to wait for something bigger from Toyota, recent spy shots offer our first look at the refreshed Tundra. The camouflage on the truck points to big changes for the front end and to the bed. The mechanical changes should include a new 10-speed automatic. Motor1.com has a team going to the Chicago Auto Show, so look for full coverage and live photos from the Windy City.